Want it by Thursday 25th April? Order within 8 hours, 57 minutes and choose Royal Mail Tracked 24 Hour at checkout. 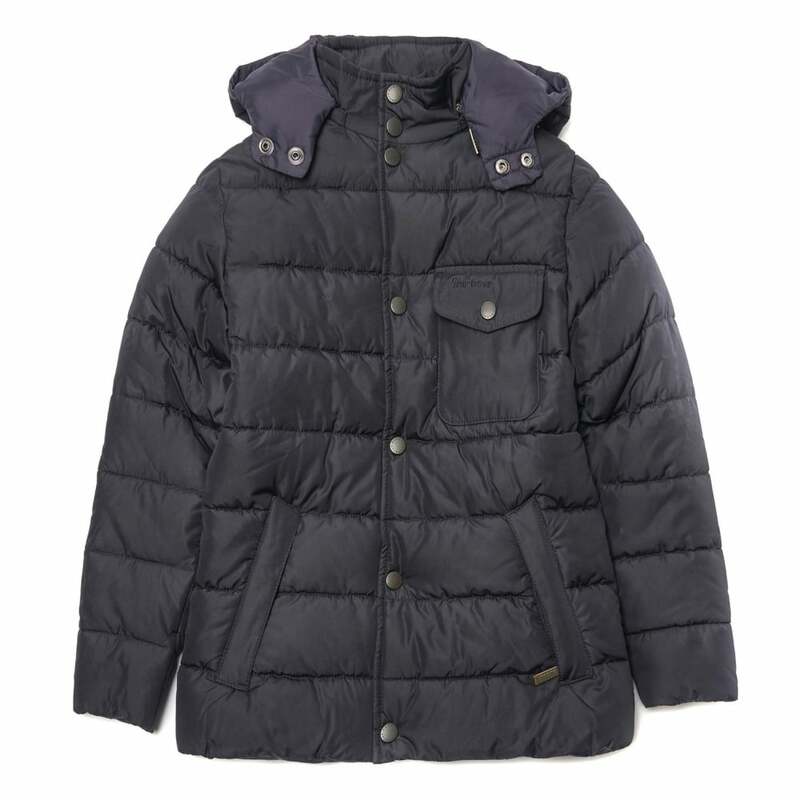 This quilted winter jacket is perfect for keeping your ‘mini-me’ warm and dry. An elasticated waist provides a better fit and a detachable zip hood is perfect in case they get caught in winter showers. Baffle quilting is sure to keep them warm and cosy. Featuring a chunky Barbour zip, Barbour branding, zipped front pockets and an easy-to-close chest pocket perfect for essentials.